Apple iPhone iOS 4.0 application development company in India - IADI Blog. 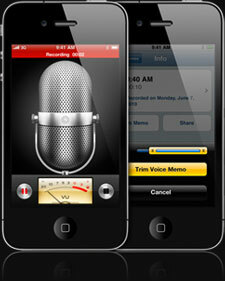 Apple iPhone OS 4.0 and iPhone SDK 4.0 beta release has brought a bundle of long-awaited features to the fore. Consisting of an updated Software Development Kit (SDK) with over 1,500 new Application Programming Interfaces (APIs) and over 100 new features meant exclusively for the iPhone and iPod touch apps, the new version of Apple iPhone operating system presents a score of opportunities for complex iPhone application development and enhanced usage. The all new Apple iPhone OS 4.0 comprises a good amount of improved elements that were unavailable in older versions including easy Multitasking for third party apps; Folders for better apps organization and accessibility; an enhanced Mail experience with a unified inbox, fast inbox switching and threaded messages; enhanced Enterprise support with even better data protection, Apple’s new iAd mobile advertising platform and many more. Considered as a major release of the world’s most advanced mobile operating system, the fourth generation of the iPhone OS intends to fill a lot of missing gaps in its earlier versions. Also referred to as the 7 'Tentpoles' by the honchos, there are seven highlights which everybody's raving about. These features claim to make application development really easy which is further contributed by the 1500 odd APIs provided by Apple. We present a few of those distinguishing features that widen the scope of custom apps development for the iPhone and the iPod touch. Multitasking topped the list of omissions in the previous iPhone OS versions. The new iPhone OS 4.0 brings in that left out feature of multitasking that will finally allow several third party apps to run concurrently and in the background. Now, you can quickly move between apps without terminating them. This feature of multitasking included in the iPhone OS 4.0 also serves the third party apps while preserving battery life and foreground app performance. It delivers seven new multitasking services that could be easily integrated in your apps to avail the advantage of multitasking. These services constitute Background Audio, Voice Over IP, Location Services, Push Notifications, Local Notifications, Task Completion, and Fast Apps Switching that will make handling multiple applications much easier and swift. Multitasking, for instance, would allow you to play music in the background and receive calls even when your iPhone is idle or you are running other apps. It would also support programs to finish its random items in the background while you use other apps. This is an enhanced feature in the all new iPhone 4.0 OS that allows users to better organize their applications and access them quickly. Where in the older versions, the applications were juxtaposed on the iPhone home screen that compelled the users to scroll back and forth across multiple screens; the new generation operating system helps users to create folders where they can drag and drop an app icon onto another and simplify the home screen. Using this feature of Folders, users would now be able to organize and access more than 2,000 apps on their iPhone gadgets. You can see the contents of a folder, rename it and just tap it for an expanded view. Better & Faster. Unified Inbox and organize-by-thread features brought forth in the iPhone OS 4.0 are set to deliver one of the best email experiences on a mobile phone. It renders solutions to one of those limitations which involved inconvenience in using various inboxes and limited options for message sorting. Gifting its users a lot more options for organizing their e-mails, it allows you to see messages from all your email accounts together in a single inbox. You can easily swap inboxes to see messages from one account. Users can now thread their messages by conversation, add multiple Exchange accounts, organize e-mails by thread, quickly switch between accounts, and open attachments with a preferred app. With this feature, now every iPhone user can access Apple's e-book reader, iBooks and enjoy reading on their iPhone screens. In addition to this, you could also access Apple's iBookstore if you feel like buying them for yourself. A striking element of this feature is that once you buy an iBook, you could very well use it on your iPad, iPod touch as well as the iPhone. It would allow wireless page syncing between all the devices that would permit remembering your current page even if you swap your devices. The new Enterprise features in the new iPhone OS 4.0 brings you a lot of stuff including enhanced data protection, mobile device management, wireless app distribution and multiple exchange accounts. You could also enjoy the support for Exchange 2010 and SSL VPN support from Juniper and Cisco. iAd is Apple’s new mobile advertising platform, that intends to offer multimedia and interactive content attempting to combine the emotional and interactive factors of TV commercials. Unlike in mobile ads, where the user has to exit his application and load the advertisement in a new webpage; the iPhone OS 4.0 lets users to see the ad by displaying full-screen video and interactive ad content without ever leaving the app, and letting users return to their app anytime they want. Say, for instance, an ad for a movie shall show you a preview and search local theaters for showtimes. This feature integrated in the new iPhone OS 4.0 beta carries features similar to a social gaming network with abilities to invite friends to a game, strike a multiplayer game by way of matchmaking, track achievements and comparing scores on a leader board. This shall be a useful feature for all those avid lovers of iPhone games. The multi-featured iPhone OS 4.0 is a testimony to the ever-progressing development of the Apple iPhone operating system. Besides the widely discussed ones that are mentioned above, the iPhone OS 4.0 possesses enhanced security, increased scalability and better compatibility. Its quite obvious that fourth generation iPhone Operating System would enhance your application's user experience a great deal.